Growing Up Slowly. cowbiscuits | UK Lifestyle, Style and Beauty Blog. : Growing Up Slowly. Once again my spare room is being inhabited by a feral kitten (she's not feral now and actually going back to work tomorrow - cue heart breaking instagram posts) so I've been slacking on the ol' blog. I think this will be my last kitty for a few months as kitten season is OVER! HOORAYY! haha. 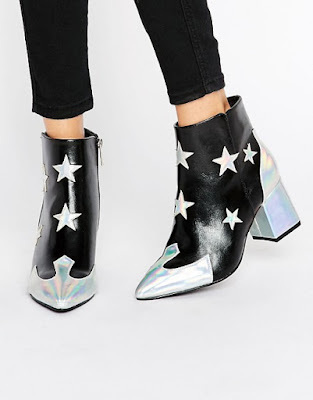 Anyway this post you may have noticed is about growing up, and my version of growing up is buying myself a pair of boots that have a slight heel to them! I know, I'm almost 27 and I've only just managed it. I only own one pair of slightly high platforms which I've worn to death. I'm so used to wearing hiking books or little flat pixie boots that it was time to grow up and branch out. The moment has hit a few times when out with friends and even though I'm dressed up etc their outfits are always just a little more completed with a slight heel which automatically made me feel under-dressed. 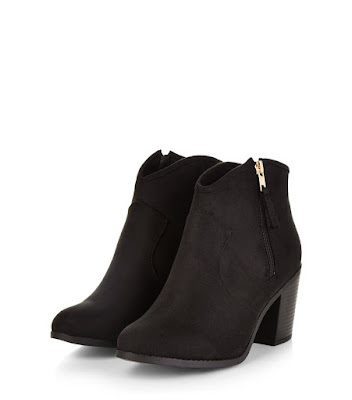 I cannot walk in heels, they hurt and I feel like Bambi after a single drink so I've opted for the small heeled boot and as shown in my purchase above - a slight platform. These beauts I LOVE. They are from Daisy Street via ASOS and although I wouldn't know what the hell to wear them with and I'd probably just sit looking at them - I think they are awesome! These gorgeous western style boots are incredible. 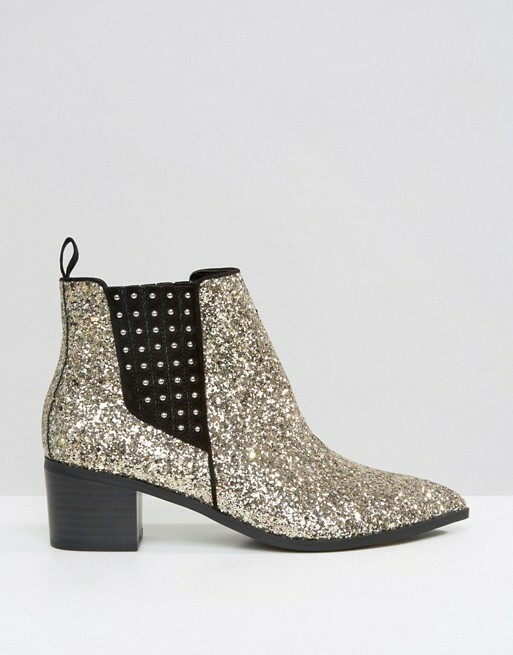 They are from New Look and I def have my eyes on them! These Office glittery babes are more my height. I just think they are magical. It's boots season! The basic, black one is timeless..